I'm currently deciding between taking loan with down payment and no down payment. To get behind the idea, I read a case study from a finance textbook. Mortgage loan is $100,000, with 30-year duration. You can choose either to pay down payment or not. 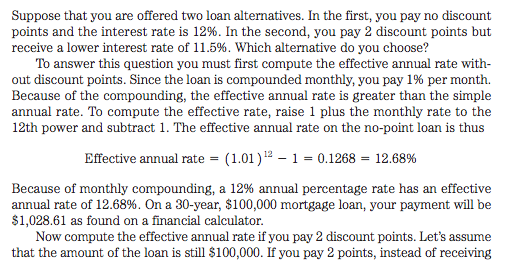 If you don't, annual interest rate is 12%, if you do take the offer of paying $2,000 (2% discount point off initial $100,000), you get 11.5% annual interest rate. Case 2. Down payment = $2,000. 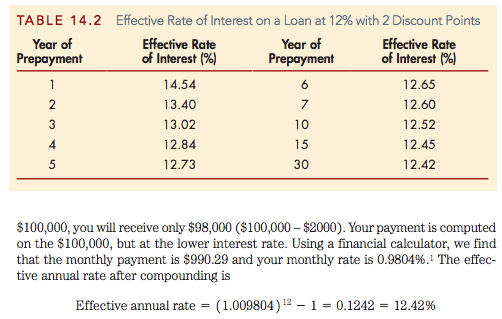 (so, now we owe $100,000-$2,000 = $98,000) Interest rate at 11.5%, therefore, monthly should be 11.5%/12 = 0.9583%. Now, this is where the confusion begins. 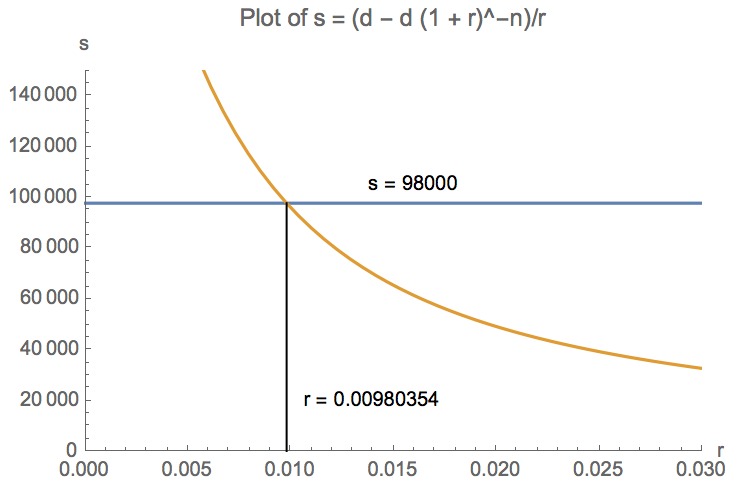 My monthly rate as what I manually calculated is 0.9583%, BUT the book states it should be 0.9804%. Hence, Question: How and why does the monthly rate turn out to be 0.9804%?? If we reverse the calculation with that rate, it turns out we actually get higher interest rate; 0.9804% * 12 = 11.76%, higher than initial 11.5%. Not the answer you're looking for? Browse other questions tagged mortgage loans interest-rate mortgage-rate or ask your own question. How do margins on tracker mortgages (variable rate mortages) vary over time?